Glenmutchkin’s main source of inspiration is Wick or its slightly more slimline cousin, Thurso. These are very similar in layout except for their MPD’s; where Wick’s was quite a lot larger. However, rather than a facsimile of either (hey Ben Alder/Richard Oaks has nabbed that idea anyway! 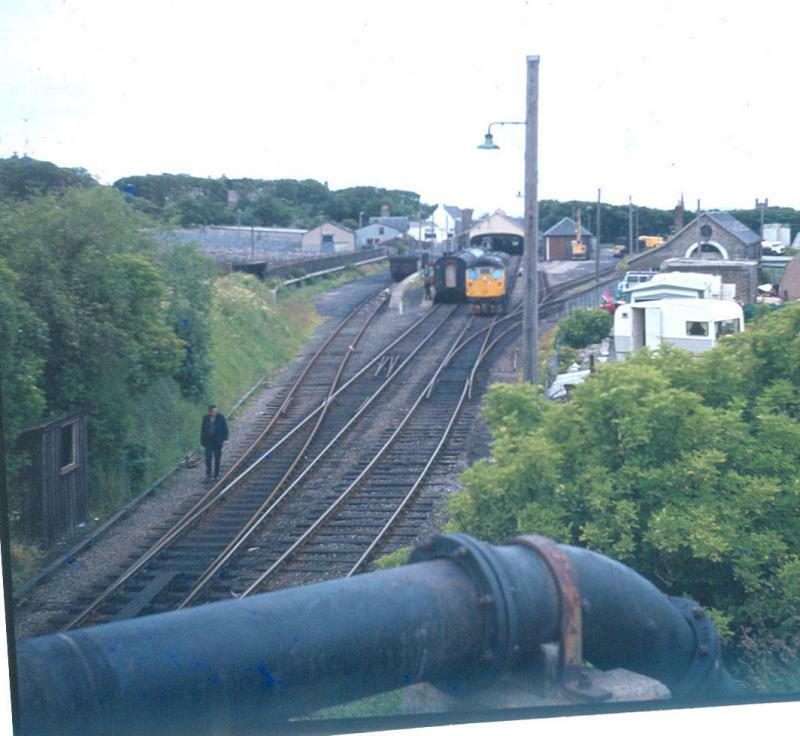 ), I am proposing to use the same arrangement of MPD as at Kyle of Lochalsh’s shed area, with the access road leading to a turntable and then the shed roads coming back off this. Due to the way that the layout will sit in its home, I have had to do a mirror of the shed at Kyle but otherwise it will be the same. All of the lines to the west coast of Scotland; both built by the Highland or any of its rival companies or projected come late in the 19th century – partly as a result of Prof Aytoun’s story that I have paraphrased in part 2. Wick and Thurso however were built rather before this and are stylistically rather different as a result. 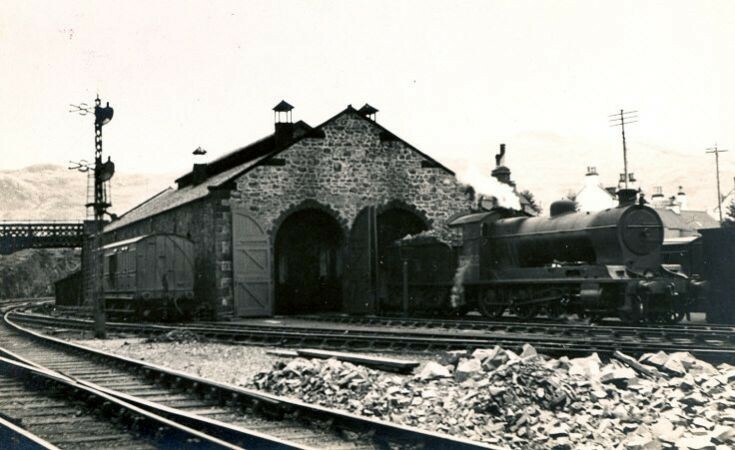 The main differences are the way that the platforms were arranged and the use of a stone built station building/train shed. 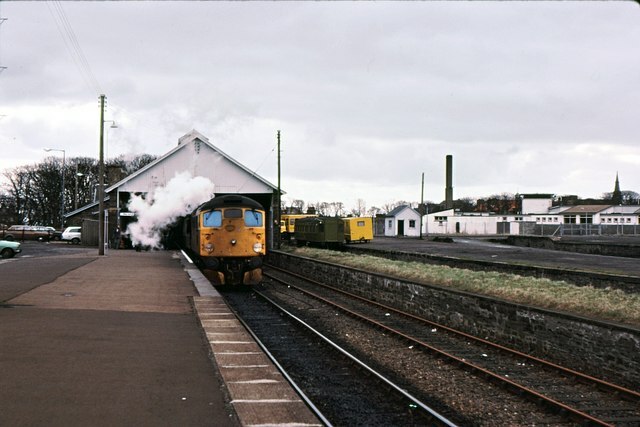 However, having decided that the Glenmutchkin was much earlier than this, I felt that I could assume that the terminus was built before any of the other lines to the west coast were achieved and thus use the older style of station. In practise I have done so because I wish to model the overall roof – probably the building at Wick as its screen to the end of the train shed is very attractive. 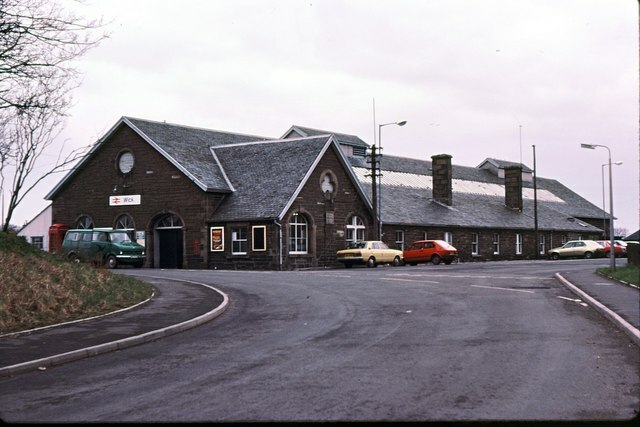 Photo of the road side of the main station building at Wick (that at Thurso is a bit smaller). Copyright held by Peter Whatley and reproduced under a Creative Commons Licence. Another feature of Kyle that I will take is the overbridge splitting the station from the shed area. Being the son of a bridge engineer, I guess I need to get some proper civils into the model and the latticework is quite attractive. I will go for a single span bridge, rather than the twin span seen here at Kyle. Those cattle pens will appear at some point too! Glenmutchkin: Part 2 – What’s in a name? Glenmutchkin may well be a new name to you but it is one of the forgotten names of railway history; railway proprietors and the public alike from the late 1840’s will certainly have known of it. We need to take ourselves back to the mid 1840’s first; at the heart of the railway mania frenzy. Parliament was awash with schemes to build railways in every worthwhile corner of the country and a fair few worthless corners too – so much so that parliament had to sit through the summer recess to consider them (could you imagine that in the 21st century?). Already some farsighted commentators were predicting that a stock market bubble was forming and this provoked The Edinburgh Magazine to publish an article lampooning the mania – How we got up the Glenmutchkin Railway and how we got out of it; written by Professor W E Aytoun. The story concerns Messers Augustus Dunshunner and Robert McCorkindale, two Glasgow rogues who conceived their scheme over a small barrel of whisky. They concocted a plan to relieve would be investors of their money by creating a railway scheme. 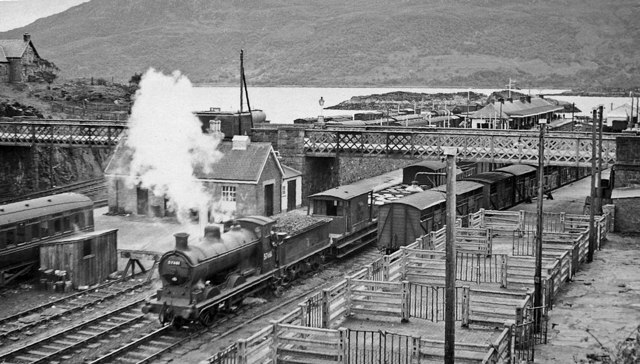 First they found an area of the Highlands that other railway promoters had not yet spotted (that was simple, they just made one up) and proceeded to populate it with an improbable amount of commerce and agriculture. The human population was noted as being particularly dense, with the centre at the Clachan of Inverstarve. 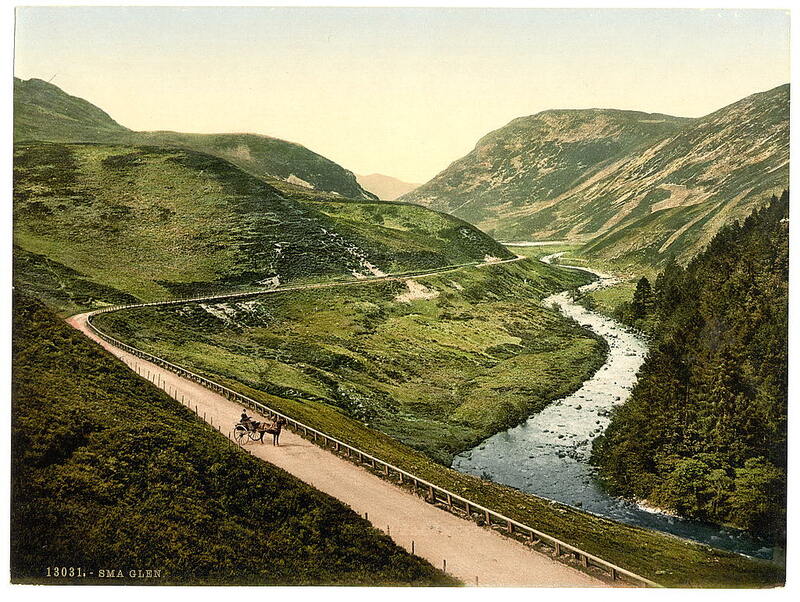 They concluded that 4 million cattle annually needed exported down the line, the hills were covered with sheep & goats but most importantly, the glen included the most of the famous distilleries in the country. Clearly a railway company to such an important part would attract the crème of Scottish aristocracy to its board and here our promotors surpassed themselves; the preliminary board included Tavish Mctavish of Invertavish, The Laird Mhic-Mhac-Vich, The Captain of McAlcohol and The Factor of Glentumblers amongst others. The engineer, a Walter Solder’s, initial report concluded that the fourteen mile line would be simple to build with four short tunnels being the only engineering features of note. Given that Mr Solder’s previous engineering experience lay in being a gas fitter, he can perhaps be forgiven in concluding that a total of 6 miles of tunnel through Scottish mountains would be “simple to build”. “Simple to build” – Glemutchkin today – photo via creative commons from Roger Maclachlan; although he might remember it as Rannoch Moor! When Dunshunner and McCorkindale published their prospectus, they were not unduly surprised to find four other prospectuses in the same paper for schemes at least as outrageous as their own. Nor were they surprised to find that initial share issue to be several times oversubscribed; so they nobly sacrificed most of their holdings for hard cash. Armed with the initial subscriptions, our duo along with their company of advisors, friends and general hangers on headed to London to present their bill and oppose any that might seek to share the riches of Glenmutchkins. They fought “for three weeks the most desperate battle and might in the end have been victorious had not our last antagonist at the very close of his case pointed out no less than 73 fatal flaws in the plans presented by Solder”. Of course the opposition could have routed the Glenmutchkin line at the start, but they were just as anxious as anybody to enjoy the fleshpots of London at their shareholders expense. So all that was left for the promoters was to wind up the Glenmutchkins company and return the few pennies left of the initial subscriptions to the shareholders. The article attracted wide attention at the time and planted the seeds for scepticism of the railway mania. Whilst the bubble will have burst anyway; the Glenmutchkin article certain pushed the crash along the way. This of course cost many people their fortunes but it also particularly hurt the highlands of Scotland. The article had been based on a scheme to open up a portion of the Highlands and even 20 years later, the promoters of railways in the Highlands found that the ghosts of Dunshunner and McCorkindale had not left the public’s consciousness. Many of our layouts are based on “might have been schemes” – so I feel I am carry on the tradition, but with a slight twist to my “might have been”. And hey; there is all that cattle to be transported……………..